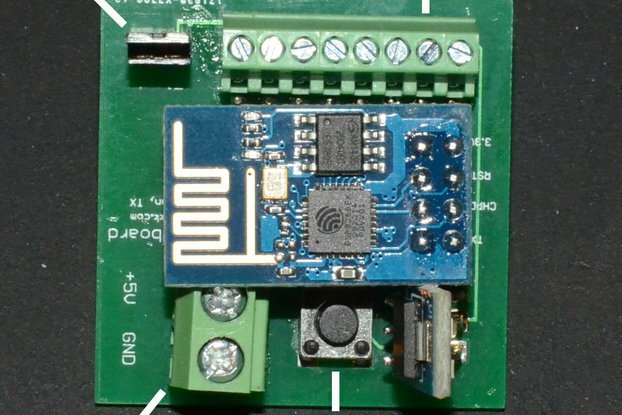 ESP8266 is an inexpensive serial-to-wifi tranceiver chip that can be used to connect any microcontroller with a serial port to a WiFi network. Because of its simplicity and low cost, it is getting popular among hobbyists for building Internet of Things (IoT) applications. 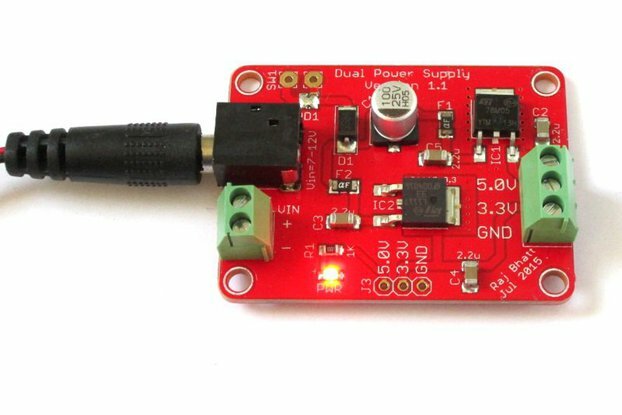 While there are varieties of breakout boards available for ESP8266 from the Chinese markets, the most popular one is the ESP-01 model that provides access to the power supply and I/O pins through a 2x4 male header. 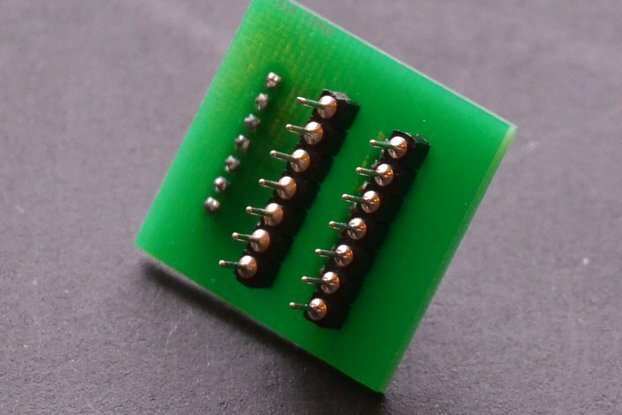 Drawbacks of this module are that the pin arrangements are not breadboard friendly and are not labeled, which makes it little inconvenient for rapid prototyping. 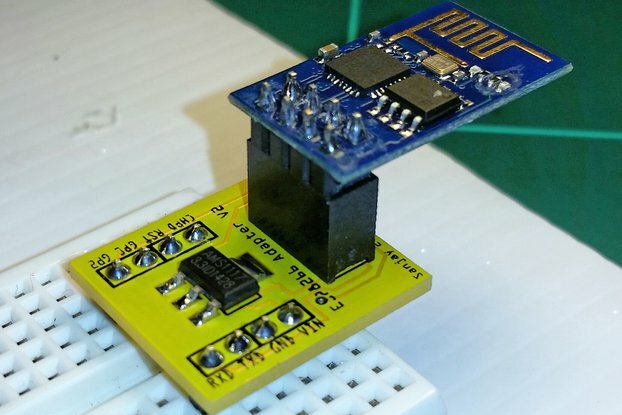 So, I designed this breadboard adapter to make prototyping with the ESP-01 module easier. 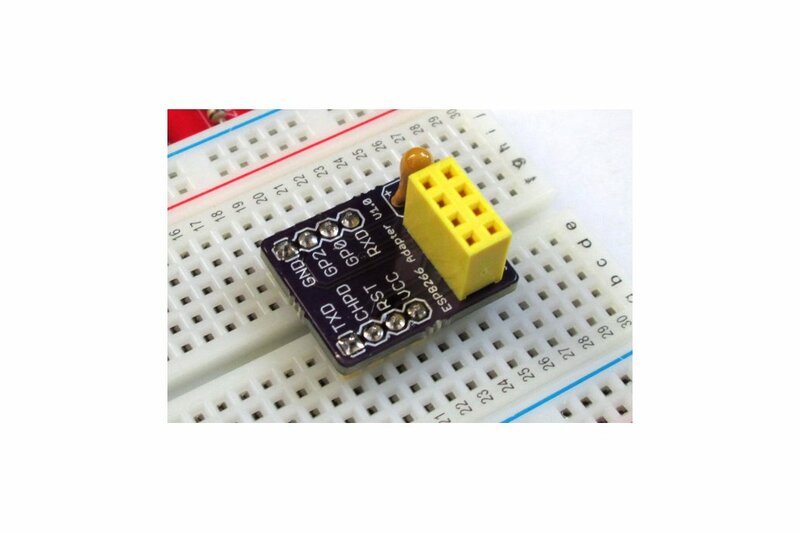 The adapter has a 2x4 female header to receive the ESP-01 module and provides easy access to those pins through two single row male headers (with clear pin names printed next to them) that are breadboard friendly. An additional power supply filter capacitor of 10uF is also provided on board. 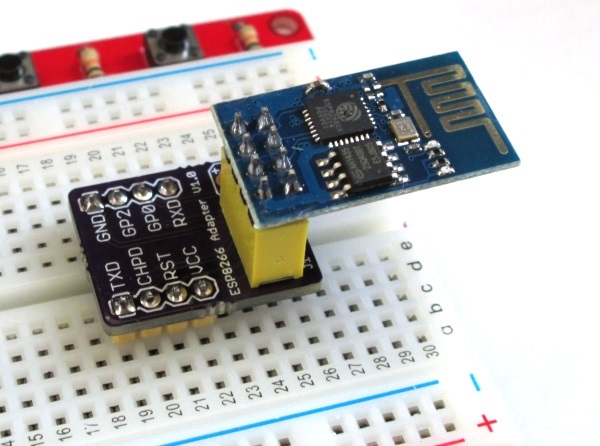 Important Note: The ESP-01 module runs at 3.3V. 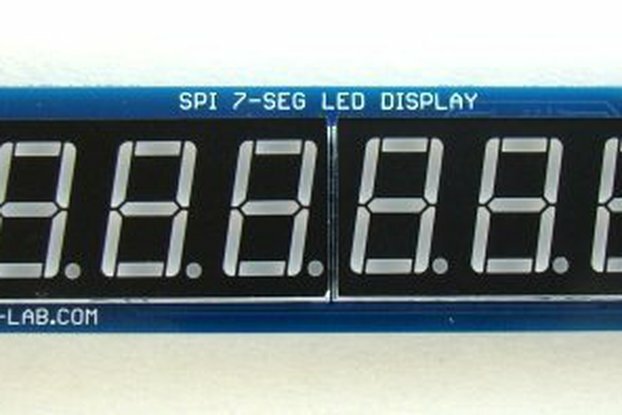 You will receive a breadboard adapter PCB, a 10uF tantalum capacitor and a 2x4 female header presoldered on the board. 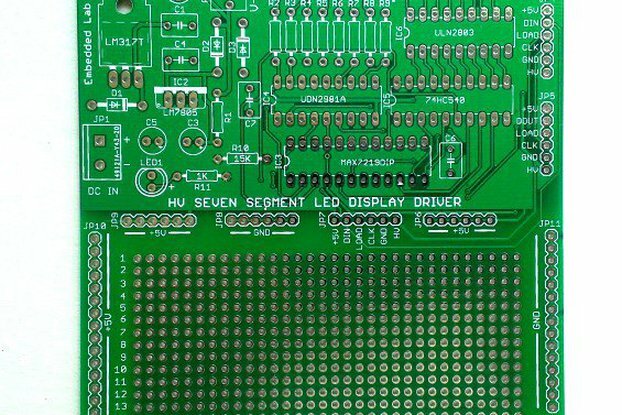 Two 1x4 male headers are also included but not soldered so as to give flexibility to the users to use a different type header if they want. I bought two of these and use them both all the time. They're compact, simple. Having the bypass cap is good, and having the pinout silkscreen visible is the best feature. 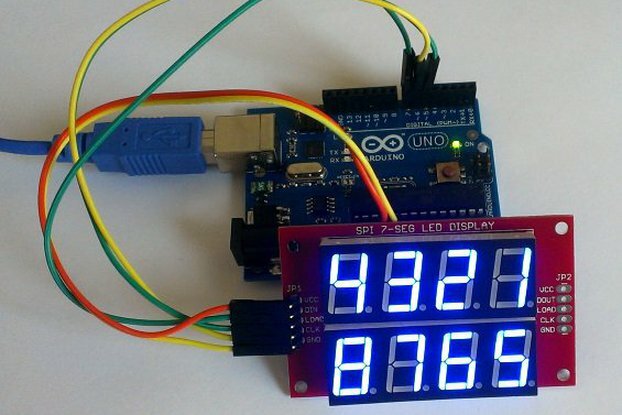 Makes working with the ESP8266 easy and simple! 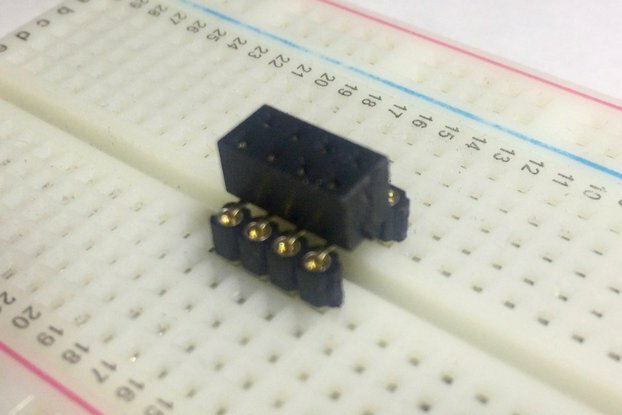 The ESP8266 is just not breadboard friendly, forcing you to use female-to-male jumper wires for prototyping. This adapter solves that problem easily and neatly, and labels the pins so you don't have to double-check your wiring. It also allows the ESP8266 to hang off the end of the breadboard, giving you just a bit more room to work. 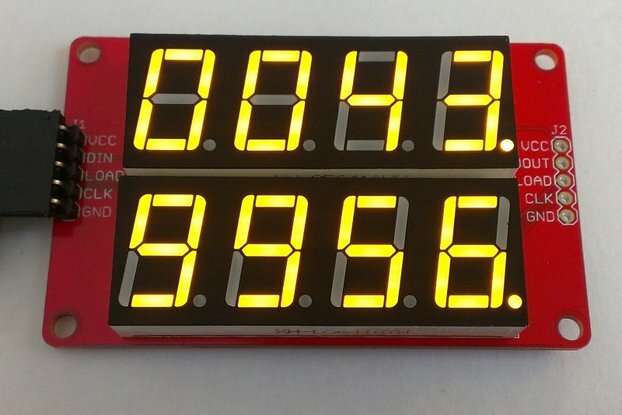 And at $2.99 it's affordable given much of the popularity of the ESP8266 is because it provides serial-to-WiFi for such a low price (typically $5-$8). 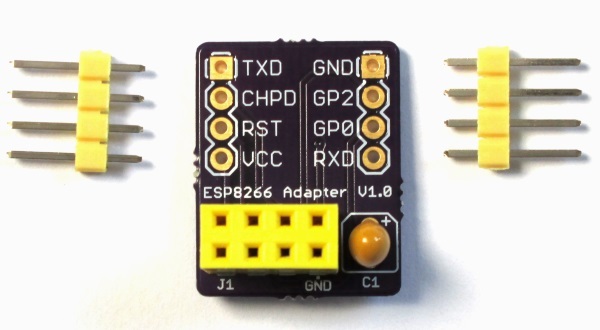 Be advised that you can insert the ESP8266 into the adapter the wrong way around, so pause to confirm you can see the pins and pin labels on the adapter before applying power so you're sure you have the ESP8266 properly in place. 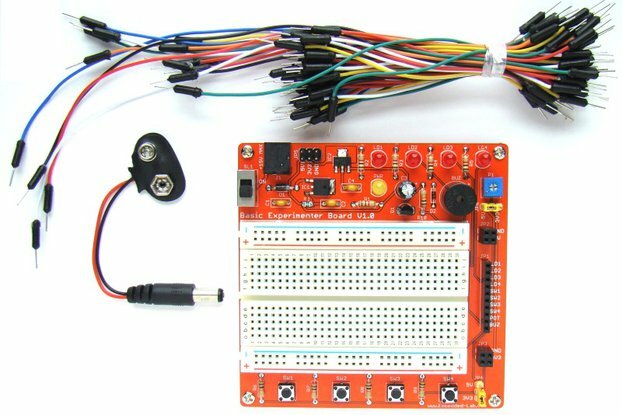 Simple breadboard helper, but very useful! 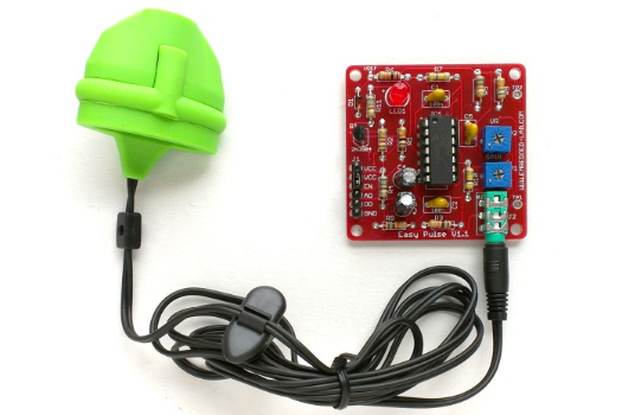 Makes life easier when trying to plug one of these modules into a breadboard - no need for extension wires to connect it to the breadboard so it doesn't short. Also, all the pins are labelled making wiring much easier!